This article presents a systematic review of most cited studies from developed countries those shed light on the potential relation between childhood leukemia and extremely low frequency electromagnetic field (ELF-EMF). 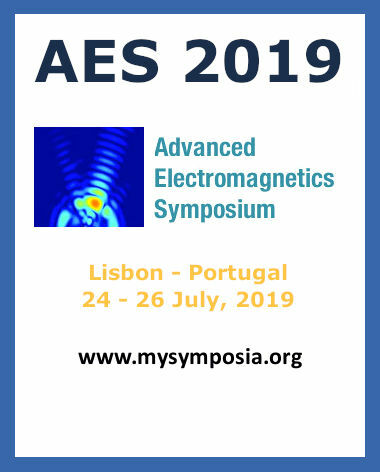 All the findings of articles critically segregated as per some neglected parameters like number of samples, exposure duration, frequency range, distance from the radiation sources, and location during measurement of magnetic field density near power lines. Literature of major 50 studies are divided according to pooled analysis / meta-analysis, residential zone assessment and case-control studies. Genuis SJ. Fielding a current idea: exploring the public health impact of electromagnetic radiation. Public Health 122(2):113-124, 2008. Calvente I, Fernandez MF, Villalba J, Olea N, Nunez MI. Exposure to electromagnetic fields (non-ionizing radiation) and its relationship with childhood leukemia: A systematic review. Science of the Total Environment 408:3062–3069, 2010. IARC and Working Group on the Evaluation of Carcinogenic Risks to Humans. Non ionizing radiation, Part 1: static and extremely low-frequency (ELF) electric and magnetic fields. Lyon: IARC Press; 2002. National Institute of Environmental Health Sciences (NIEHS). Working group report: Assessment of health effects from exposure to power-line frequency electric and magnetic fields. NIH Publication No. 98-3981, 1998.
International Telecommunication Union. 2015. Nomenclature of the frequency and wavelength bands used in telecommunications. Recommendation ITU-R V.431-8, 2015. Environmental Health Criteria 238. Extremely low-frequency field published under the joint sponsorship of the International Labour Organization, the International Commission on Non-Ionizing Radiation Protection, and the World Health Organization, 2007. Simko Myrtill and Mattsson Mats-Olof. Extremely Low Frequency Electromagnetic Fields as Effectors of Cellular Responses In Vitro: Possible Immune Cell Activation. Journal of Cellular Biochemistry 93:83–92, 2004. Kulkarni Girish, Gandhare WZ. Living bodies exposed to natural and artificial extremely low frequency electromagnetic fields. IJEECS. Volume 3, Issue 2, 2014. IEEE Recommended Practice for Measurements and Computations of Electric, Magnetic, and Electromagnetic Fields with Respect to Human Exposure to Such Fields, 0 Hz to 100 kHz. IEEE - The Institute of Electrical and Electronics Engineers. (IEEE Std. C95.3.1-2010). ICNIRP. Guidelines for limiting exposure to time-varying electric and magnetic fields (up to 1 Hz-100 kHz). Health Phys 99(6):818-836, 2010. Bhatia S, Ross J, Greaves M, Robison L. Chapter 3: Epidemiology and etiology. In: Pui C-H, editor. Childhood leukemias. New York: Cambridge University Press. pp 38–49, 1999. Ager EA, Schuman LM, Wallace HM, Rosenfield AB, Gullen WH. An epidemiological study of childhood leukemia. J Chronic Dis 18:113–32, 1965. Wertheimer N, Leeper E. Electrical wiring configurations and childhood cancer. Am J Epidemiol 109:273–84, 1979. Linet MS, Elizabeth EH, Kleinerman RA, Robison LL, Kaune WT, Friedman DR, Severson RK, Haines CM, Hartsock CT, Niwa S, Wacholder S, Tarone RE. Residential exposure to magnetic fields and acute lymphoblastic leukemia in children. The New England Journal of Medicine. 337(1):1-7, 1997. Ramon R, Ballester F, Rebagliato M, Ribas N, Torrent M, Fernandez M. The environment and childhood research network ("INMA" network): study protocol. Rev Esp Salud Publica 79(2):203–20, 2005. Theriault Gilles, Chung-Yi Li. Risks of leukemia among residents close to high voltage transmission electric lines. Occupational and Environmental Medicine 54:625-628, 1997. Greenland S, Sheppard AR, Kaune WT, Poole C, Kelsh MA. A pooled analysis of magnetic fields, wire codes, and childhood leukemia. Childhood Leukemia—EMF Study Group. Epidemiology 11:624–34, 2000. Ahlbom A, Day N, Feychting M, Roman E, Skinner J, Dockerty J. A pooled analysis of magnetic fields and childhood leukemia. Br J Cancer 83:692–8, 2000. Wartenberg D. The potential impact of bias in studies of residential exposure to magnetic fields and childhood leukemia. Bioelectromagnetics 5:S32–47, 2001. Schuz J. Implications from epidemiologic studies on magnetic fields and the risk of childhood leukemia on protection guidelines. Health Phys 92(6):642–648, 2007. Kheifets L, Ahlbom A, Crespi CM, Draper G, Hagihara J, Lowenthal RM, Mezei G, Oksuzyan S, Schüz J, Swanson J, Tittarelli A, Vinceti M, Wunsch Filho V. 2010. Pooled analysis of recent studies on magnetic fields and childhood leukemia. British Journal of Cancer 103:1128–1135. 2010. Maslanyj M, Simpson J, Roman E, Schuz J. Power Frequency Magnetic Fields and Risk of Childhood Leukemia: Misclassification of Exposure from the Use of the 'Distance From Power Line' Exposure Surrogate. Bioelectromagnetics 30:183-188, 2009. Keegan TJ, Bunch KJ, Vincent TJ, King JC, O'Neill KA, Kendall GM, MacCarthy A, Fear NT, Murphy MF. Case–control study of paternal occupation and childhood leukemia in Great Britain, 1962–2006. British Journal of Cancer 107:1652–1659, 2012. Grellier J, Ravazzani P, Cardis E. Potential health impacts of residential exposures to extremely low frequency magnetic fields in Europe. Environment International 62:55–63, 2014. Adekunle A, Ibe KE, Kpanaki ME, Umanah II, Nwafor CO, Essang N. Evaluating the Effects of Radiation from Cell Towers and High Tension Power Lines on Inhabitants of Buildings in Ota, Ogun State. Communications in Applied Sciences. 3(1):1-21, 2015. McBride ML, Gallagher RP, Theriault G, Armstrong BG, Tamaro S, Spinelli JJ, Deadman JE, Fincham S, Robson D, Choi W. Power-frequency electric and magnetic fields and risk of childhood leukemia in Canada. Am J Epidemiol. 149(9):831-42, 1999. UKCCS (UK Childhood Cancer Study Investigators). Exposure to power-frequency magnetic fields and the risk of childhood cancer. Lancet 354:1925–31, 1999. Kleinerman RA, Kaune WT, Hatch EE, Wacholder S, Linet MS, Robison LL, Niwa S, Tarone RE. Are Children Living Near High-Voltage Power Lines at Increased Risk of Acute Lymphoblastic Leukemia? American Journal of Epidemiology. 151(5):512-5, 2000. Hone P, Edwards A, Halls J, Cox R, Lloyd D. Possible associations between ELF electromagnetic fields, DNA damage response processes and childhood leukemia. British Journal of Cancer 88(12):1939 – 1941, 2003. Draper G, Vincent T, Kroll ME, Swanson J. Childhood cancer in relation to distance from high voltage power lines in England and Wales: a case–control study. Br Med J 330:1290–4, 2005. Kabuto M, Nitta H, Yamamoto S, Yamaguchi N, Akiba S, Honda Y, Hagihara J, Isaka K, Saito T, Ojima T, Nakamura Y, Mizoue T, Ito S, Eboshida A, Yamazaki S, Sokejima S, Kurokawa Y, Kubo O. 2006. Childhood leukemia and magnetic fields in Japan: a case–control study of childhood leukemia and residential power-frequency magnetic fields in Japan. Int J Cancer 119:643–50, 2006. Li CY, Sung FC, Chen FL, Lee PC, Silva M, Mezei G. Extremely-low-frequency magnetic field exposure of children at schools near high voltage transmission lines. Science of the Total Environment 376:151–159, 2007. Feizi AA, Arabi MA. Acute childhood leukemias and exposure to magnetic fields generated by high voltage overhead power lines: a risk factor in Iran. Asian Pac J Cancer Prev 8(1):69–72, 2007. Foliart DE, Mezei G, Iriye R, Silva JM, Ebi KL, Kheifets L, Link MP, Kavet R, Pollock BH. Magnetic Field Exposure and Prognostic Factors in Childhood Leukemia. Bioelectromagnetics 28(1):69-71, 2007. Mezei G, Spinelli JJ, Wong P, Borugian M, McBride ML. Assessment of Selection Bias in the Canadian Case-Control Study of Residential Magnetic Field Exposure and Childhood Leukemia. American Journal of Epidemiology 167(12):1504-10, 2008. Victor Wunsch-Filho, Daniele M. Pelissari, Flavio E. Barbieri, Leonel Sant Anna, Claudia T. de Oliveira, Juliana F. de Mata, Luiz G. Tone, Maria Lucia de M. Lee, Maria Lydia M. de Andrea, Paula Bruniera, Sidnei Epelman, Vicente Odone Filho, Leeka Kheifets. Exposure to magnetic fields and childhood acute lymphocytic leukemia in Sao Paulo, Brazil. Cancer Epidemiology 35 534–539, 2011. Bunch KJ, Keegan TJ, Swanson J, Vincent TJ and Murphy MFG. Residential distance at birth from overhead high-voltage power lines: childhood cancer risk in Britain 1962–2008. British Journal of Cancer 110:1402–1408, 2014. Porsius JT, Claassen L, Smid T, Woudenberg F, Petrie KJ, Timmermans DR. Symptom reporting after the introduction of a new high-voltage power line: A prospective field study. Environmental Research 138:112–117, 2015. Nordstrom S, Birke E and Gustavsson L. Reproductive Hazards among Workers at High Voltage Substations. Bioelectromagnetics 4:91-101, 1983. Lin RS, Dischinger PC, Conde J and Farrell KP. Occupational exposure to electromagnetic fields and the occurrence of brain tumors. Journal of Occupational Medicine 27:413-419, 1985. Spitz MR and Johnson CC. Neuroblastoma and paternal occupation, a case-control analysis. American Journal of Epidemiology 121:924-929, 1985. Deapen DM and Henderson BE. A case-control study of amyotrophic lateral sclerosis. American Journal of Epidemiology 123:790- 798, 1986. Wilkins JR, III and Koutras RA. Paternal occupation and brain cancer in offspring: A mortality-based case-control study. American Journal of Industrial Medicine 14:299-318, 1988. Johnson CC and Spitz M. Childhood nervous system tumours: An assessment of risk associated with paternal occupations involving use, repair or manufacture of electrical and electronic equipment. International Journal of Epidemiology 18:756-762, 1989. Goldhaber MK, Polen MR and Hiatt RA. The risk of miscarriage and birth defects among women who use visual display terminals during pregnancy. American Journal of Industrial Medicine 13:695-706, 1988. Li DK, Odouli R, Wi S, Janevic T, Golditch I, Bracken TD, Senior R, Rankin R, Iriye R. A population-based prospective cohort study of personal exposure to magnetic fields during pregnancy and the risk of miscarriage. Epidemiology 13(1):9-20, 2002. Tornqvist, S. Paternal work in the power industry: Effects on children at delivery. Journal of Occupational and Environmental Medicine 40:111- 117, 1998. Poole C, Kavet R, Funch DP, Donelan K, Charry JM, Dreyer NA. Depressive symptoms and headaches in relation to proximity of residence to an alternating-current transmission line right-of-way. American Journal of Epidemiology 137(3):318-330, 1993. Reichmanis, M, Perry FS, Marino AA and Becker RO. Relation between suicide and the electromagnetic field of overhead power lines. Physiology, Chemistry and Physic 11:395-403, 1979. Floederus, B, Persson T, Stenlund C, Wennberg W, Ost A, and Knave B. Occupational exposure to electromagnetic fields in relation to leukemia and brain tumors: a case-control study in Sweden. Cancer Causes Control 4:465-476, 1993. Theriault G, Goldber M, Miller AB, Armstrong B, Guenel P, Deadman J, Imbernon E, To T, Chevalier A, Cyr D and Wall C. Cancer risks associated with occupational exposure to magnetic fields among electric utility workers in Ontario and Quebec, Canada, and France: 1970-1989. American Journal of Epidemiology 139:550-572, 1994. Johansen C and Olsen J. Mortality from amyotrophic lateral sclerosis, other chronic disorders, and electric shocks among utility workers. American Journal of Epidemiology 148:362-368, 1998. Malagoli C, Fabbi S, Teggi S, Calzari M, Poli M, Ballotti E, Notari B, Bruni M, Palazzi G, Paolucci P, Vinceti M. Risk of hematological malignancies associated with magnetic fields exposure from power lines: a case-control study in two municipalities of northern Italy. Malagoli et al. Environmental Health 30:9-16, 2010. Savitz DA, Jianhua C. Parental Occupation and Childhood Cancer: Review of Epidemiologic Studies. Environmental Health Perspectives 88:325-337, 1990. Garcia AM, Sisternas A, Hoyos SP. Occupational exposure to extremely low frequency electric and magnetic fields and Alzheimer disease: a meta-analysis. Int. J. Epidemiol 37(2):329-340, 2008. 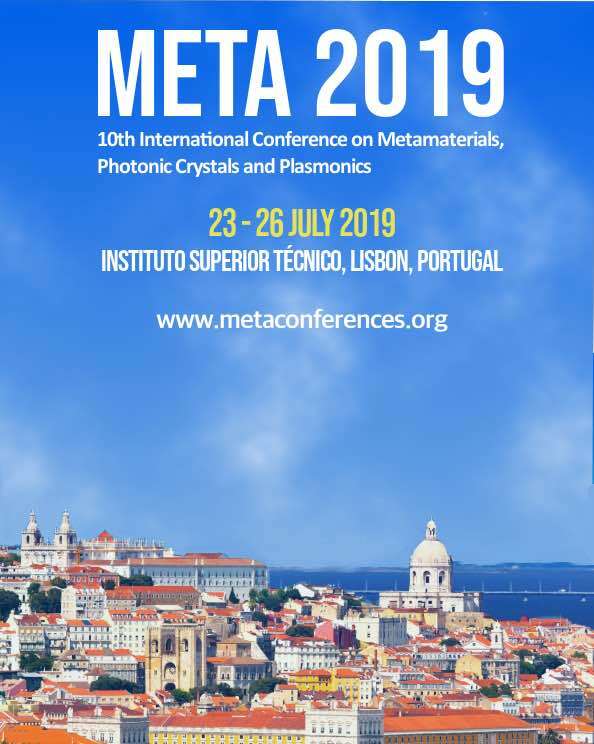 L Kheifets, A Ahlbom, CM Crespi, M Feychting, C Johansen, J Monroe, MF Murphy, S Oksuzyan, S Preston-Martin, E Roman, T Saito, D Savitz, J Schüz, J Simpson, J Swanson, T Tynes, P Verkasalo, G Mezei, A Pooled Analysis of Extremely Low-Frequency Magnetic Fields and Childhood Brain Tumors, American Journal of Epidemiology 172(7):752-761, 2010. H. Hasanzadeh, M. Rezaie-Tavirani, S.S. Seyyedi, H. Zali, S Heydari Keshel, M Jadidi, A Abedelahi, Effect of ELF-EMF Exposure on Human Neuroblastoma Cell Line: a Proteomics Analysis, Iran J Cancer Prev 7(1):22-27, 2014.